A Harley Quinn inflatable Baseball bat – Ideal for a TV & Film theme, a Superhero theme, or any fancy dress occasion! No Harley Quinn look would be complete without her Harley Quinn Inflatable Bat. This official licensed Harley Quinn Inflatable Bat comes complete including an inflatable Baseball bat. 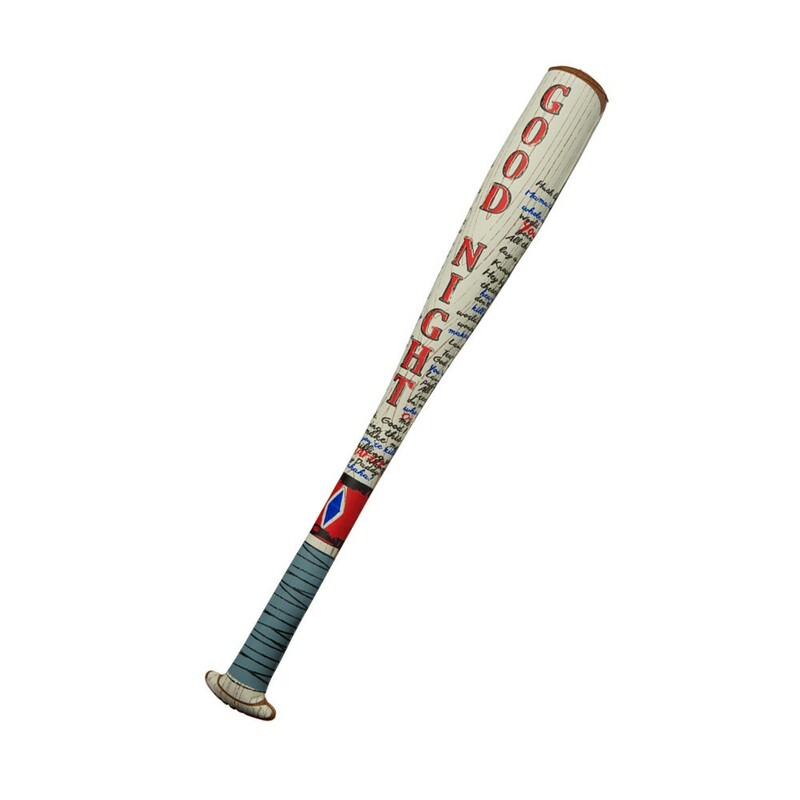 This blow up bat features a baseball design, with printed details over the bat, including “Good Night” and a realistic handle design. This inflatable accessory will be sure to add the perfect finishing touch to your Harley Quinn or Suicide Squad look no matter what the occasion! Perfect for a TV & Film theme, Comic Book theme, a Superhero theme, or any fancy dress occasion, this Harley Quinn Inflatable Bat will be sure to add a to impress no matter what the occasion! So get into the fighting spirit with this fantastic Harley Quinn Inflatable Bat. An official licensed Harley Quinn Inflatable Bat.